Located in New Delhi (India), VPL Infotech & Consultants stands amidst the best Exporters and Suppliers of Communication Lab Trainer Kits. We bring forth a wide range of Communication Lab Trainer Kits that includes Trainer kit (BT), Mobile Phone Trainer, Local Area Network Trainer, GSM Trainer, CDMA Trainer, Ultra Fast GPS Trainer, Satellite Communication Trainer, Data Communication Trainer, Parallel Communication Embedded Trainer, EPABX Trainer, Embedded Bluetooth Communication Trainer, Zigbee Embedded Network Trainer, VLSI Trainer Kit, Mobile Communication Trainer Kit, DSP Stater Trainer Kit and VPL Trainer Kit. 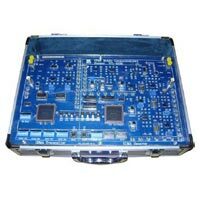 These Communication Lab Trainer Kits are designed keeping in mind user friendliness, smooth and interrupted performance as well as long life. 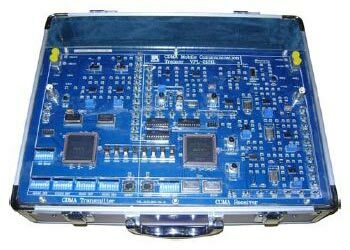 Further, we offer the Communication Lab Trainer Kits in several models and specifications at the most reasonable prices. 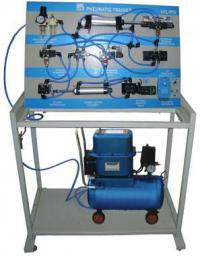 We offer a huge assortment of VPL Trainer Kit which includes VPL Trainer Kit (VPL-PTEC), VPL Trainer Kit (VPL-PTPLC), VPL Trainer Kit (VPL-PTSPLC), VPL Trainer Kit (VPL-PTK) and PL Trainer Kit (VPL-HTEC). The VPL Trainer Kit, we offer, finds applications in educational institutes & different industries for training and development purposes.